Welcome to the My Sweet Petunia and Technique Tuesday Collaboration Blog Hop! Today the teams from Technique Tuesday and MISTI are celebrating with a special bloghop giveaway, and are sharing many projects created using the MISTI and the fabulous stamps and dies from Technique Tuesday. Hopefully you have arrived here from Amy's blog. If not, and you would like to start the hop at the very beginning, please click HERE. 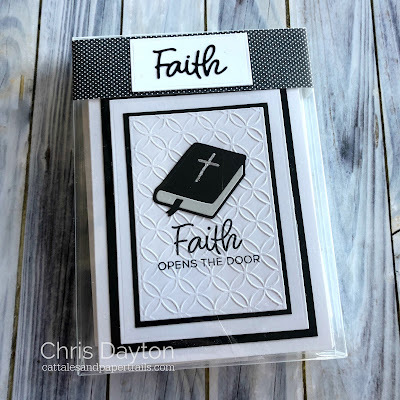 Today I am sharing religious gift set of 6 cards that I have created using my Original MISTI and the Faith Opens the Door stamp set, which is just one of the many religious themed stamp sets and products from Technique Tuesday. I started my project by using my Original MISTI to stamp several of the many faith-themed sentiments from Faith Opens the Door in Blackout Hybrid ink onto panels of layering weight white cardstock. 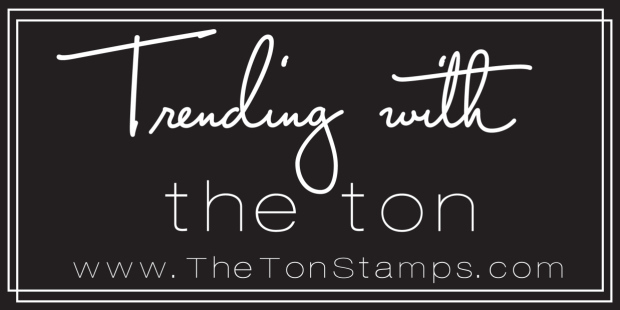 I chose to use six sentiments to create a versatile six card, blank-inside notecard gift set. The sentiments from this stamp set are versatile enough that they can be used for many occasions, from a thinking of you or get well card, or can be tailored with the interior note to be used for a new baby, a baptism or confirmation or even a wedding shower or anniversary card. This simple, yet classic black and white design gives a bit of understated elegance, and yet are very simple to mass produce for gifts. 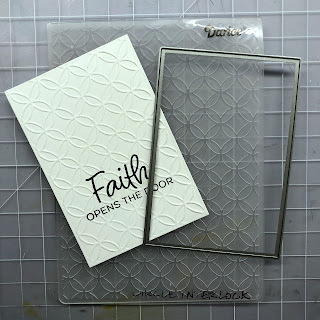 I dry embossed the stamped panel using my Big Shot and the Circle Interlock embossing folder by Darice. I then centered a rectangle die over the embossed pattern, and taped my die down with a bit of Therm O Web Purple Tape, and die cut with my Big Shot. I then die cut all the pieces needed to assemble six cards. I used my tiny little Sizzix Sidekick to cut six of the bibles from Black and Soft Stone cardstock. I also used tiny scraps of silver glitter paper to cut six crosses using just the interior of the bible die from the Amen Crafting Dies. I also cut layering mats from white and black cardstock as well as prepared six side-fold A2 white card bases. All that was left was to assemble the cards. 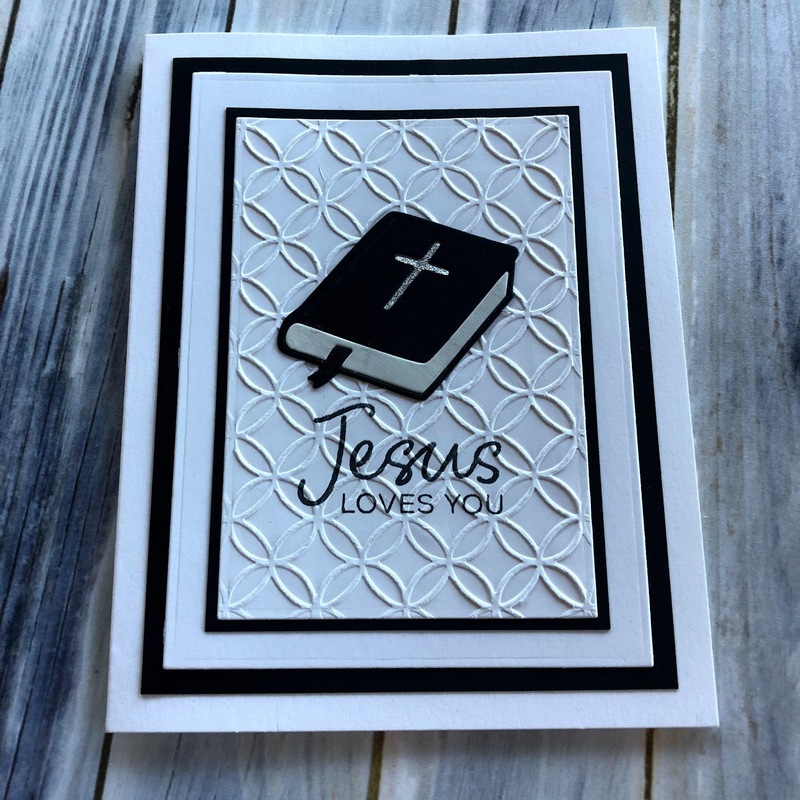 I layered the white and black layers with the stamped and embossed panel, then assembled the pieces using liquid craft glue to create the bible. Now that my set of six cards were assembled, I needed some simple packaging. I placed the cards and envelopes into a clear A2 card box, and used a strip of 12x12 bitty dot paper to create a band at the top of the box. I chose to use the Faith die, also from the Amen Crafting Dies set to decorate the band. I used Therm O Web sticky dots to adhere the delicate word die cut to my small rectangle label. I placed the die cut first onto the sheet Sticky Dots. When I removed it from the sheet, it was well coated on the back side with dots of wonderfully sticky adhesive. I only had to transfer it to my small label and it was well adhered! My gift set is ready to be gifted! 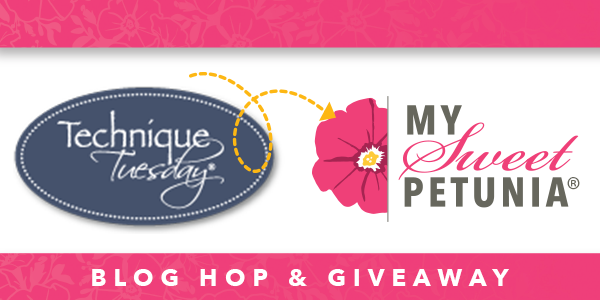 In celebration of today's hop, Technique Tuesday and My Sweet Petunia are giving two fabulous blog hop prizes. 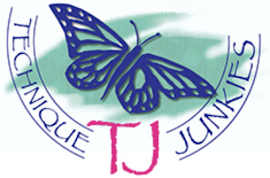 Two lucky winners will win both a $50 shopping spree from My Sweet Petunia and a $50 shopping spree at Technique Tuesday! To be entered, please leave a comment on the today's hop posts. Comments must be entered before Monday, May 28, 11:59 p.m. central time. Winners will be announced Tuesday, May 29th, on both the My Sweet Petunia and Technique Tuesday blogs. Thanks for joining me for today's collaboration hop! Your next stop on the hop should be Dana Joy. The complete list of hop participants is listed below. These cards are stunning. What a wonderful gift for the head of your church which ever religion you are. I am sure they would love these beautiful cards to use for notes. You have done such a beautiful bible on each. Love the simplicity of these cards. They are just perfect! Thanks for sharing! Every process on your card is amazing. Nice finished cards! Great encouragement cards! I love the die cut bibles. ❤️ these elegant cards. Beautiful. WOW! A beautiful card set complete with packaging. This will make a wonderful gift. What a great gift! Thanks for sharing. You do clean and simple well! What an elegant and thoughtful gift. I'm sure it will be greatly appreciated by your recipient. I love that it looks like you labored over them for hours but that they are so easy to make!!! Lots of nice texture on your cards. Lovely cards from a beautiful stamp set! These will be loved. I sure do. what a beautiful gift! I love it! Love this gift set you created. 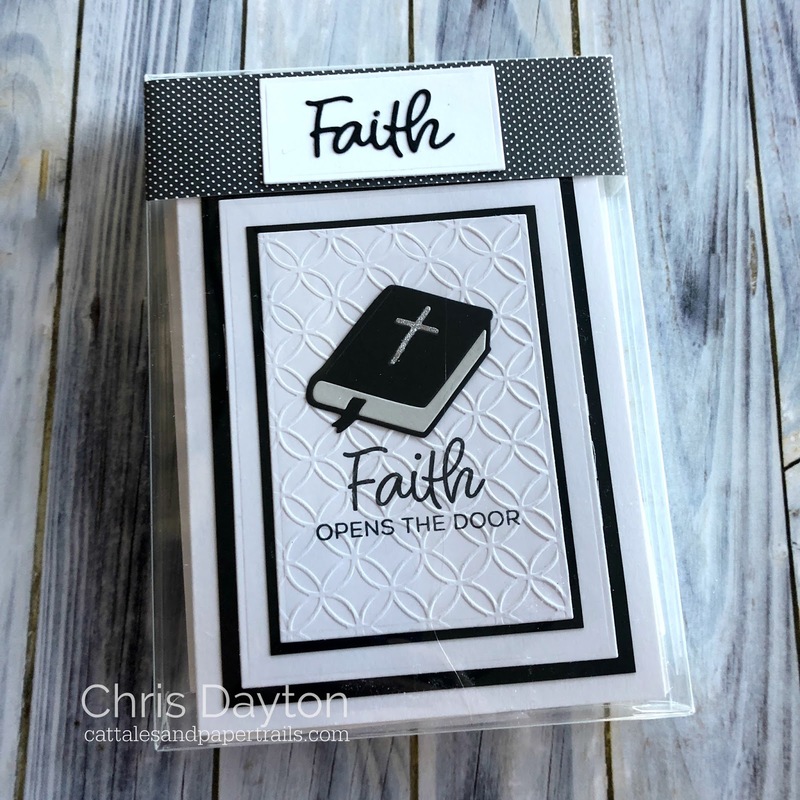 I am absolutely enchanted by your little gift set of faith cards! Such a splendid idea !! Love the simple black and white enhanced by the embossed background. Loved you cards and this great stamp set. What a beautiful set of cards for gift giving. What a beautiful set of cards! Love the classic black and white, perfect layering. This is such a wonderful set !! So clean ! I don’t have the right vocabulary to explain my thoughts. Your set of cards is awesome ! I do love your cards ! I often make cards for confirmations in our church and I will definitely check out these dies !! Amazing cards!!! Elegant and beautifully simple. These are fabulous cards. Did you stamp the words first then use the embossing folder? Love the finished look. What a great idea for a gift set, thank you. Very nice card set! Love the embossing and the card designs are just perfect. What a lovely set of cards! I like the dry embossing and must remember to use an embossing folder now & again. Thanks for sharing. 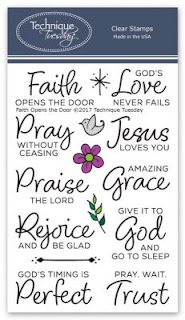 Wow they are amazing encouraging cards! Thanks for the card box link. Love the idea of a gift set of cards. 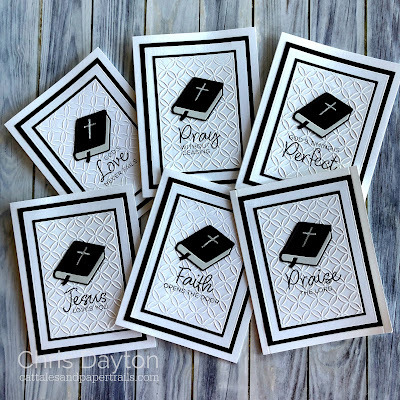 This is an amazing set of faith cards! These are fabulous!! LOVE the embossed panels; so pretty and add so much texture and dimension. Beautiful set of cards! I like the clean black and white design. These will make such a thoughtful gift! Great inspiration gift idea! Thanks for the chance to win and sharing. What a wonderful set of cards! 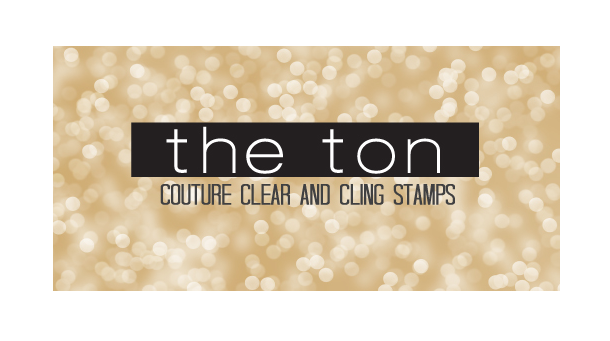 I just love what the embossing adds! 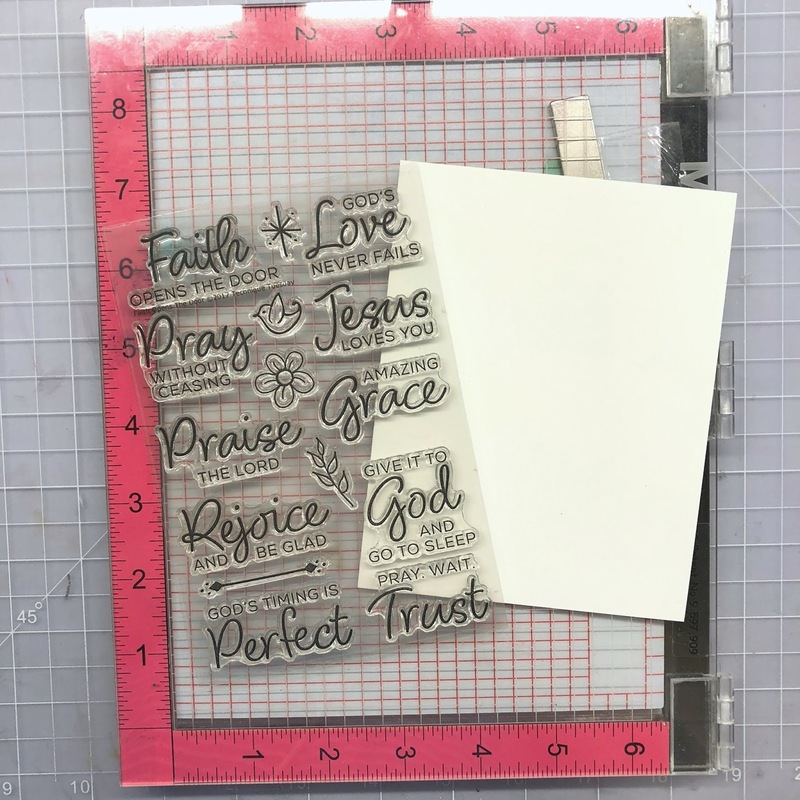 I always seem to add the sentiment last, but what a great idea to add it first here so you could add the embossing folder detail. It looks like an old-fashioned altar quilt behind the bible, which is very striking. Thank you for sharing such a lovely idea with us! Wow! I love your idea for a card gift set! 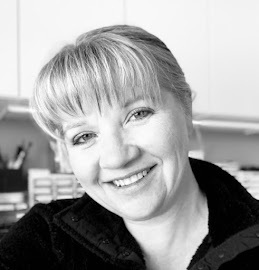 Amazing what you can do in black and white :) Thanks for sharing! This is a great set of cards that will make a fab gift. Thanks for the inspiration.